With that I made the ultimate decision to switch electrical engineering and thereupon started an adventure into the world of circuits, nanotechnology, and robotics. By choosing electrical engineering I was in no way giving up my dreams of being a bioengineer. In fact, electrical engineering has given me a solid foundation and tool set to go tackle the world of medical devices. In my sophomore year I worked in the GRASP Haptics Laboratory – my project was on a surgical device that would help detect and model out tactile (touch) sensory feelings experienced by a doctor during an invasive surgery. With my electrical engineering education I was able to obtain voltage data from a sensor and model that out with a graphical user interface. Then in my junior year I took my favorite class at Penn by far, ESE 350: a class on Embedded Systems. What’s that? Embedded systems deal with microcontrollers, which are tiny “computers” that manage everyday electronics from your toaster to robots to gigantic things, like a spaceship. Embedded systems are very pervasive and powerful for many applications and a very exciting area to explore. For the final project in ESE 350, the students get to create any electronic device they wish, from scratch, in a span of one month. My group chose to automate a 3D Pin Art Toy Display to print out 3D pixel images using a program written in C.
And that is just a nano-preview of what EE is all about! Electrical engineering in itself is a broad discipline, but that is part of its appeal. In this major, you can learn both hardware and software. You’re pushed to your limits on creativity, and you have great faculty and staff to guide you along the way. Not only will they fund your projects, but they will also give a ton of support during the idea generation process. With a Penn education in electrical engineering, I feel empowered to innovate. Electrical engineering not only tests your intellectual capabilities but also gives you the tools to go out and make a tangible impact on the community around you. And with the M&T Wharton education to complement this tool set, the possibilities are endless for initiating and managing such projects. 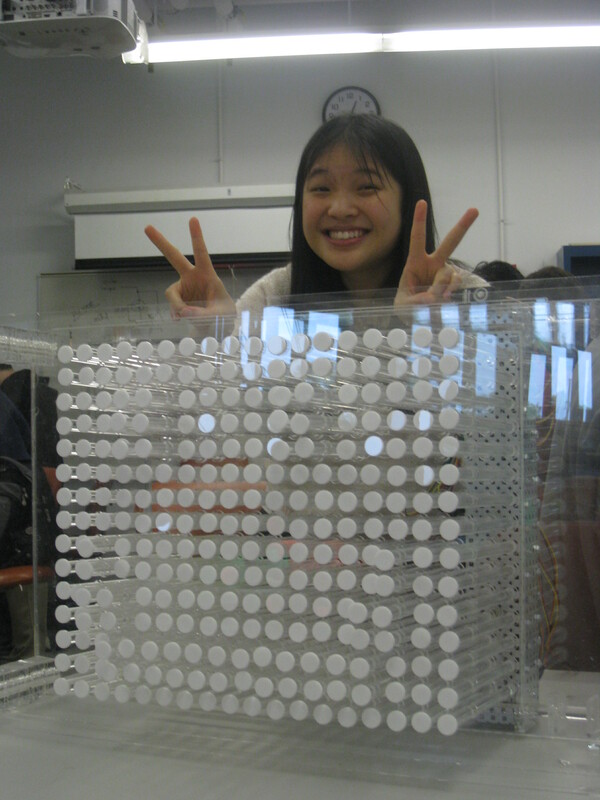 Connie is a current M&T student in the Class of 2013, and will graduate this December. She studies Electrical Engineering within Penn Engineering and concentrates in Finance in the Wharton School.